Technology is now present in all aspects of modern life, and that includes cycling. For the most part, cyclists have never been shy of embracing new technology, and there are now a whole host of useful cycling applications that have been designed to add an extra dimension to your riding. We've looked at a whole host of apps and landed upon a selection that we think shows the best cycling apps for iPhone and Android. With so many out there, you can let us know in the comments section below if we've missed any that you find useful when out on your bike. 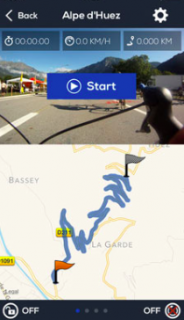 Strava allows you to enhance the experience of biking and connect to millions of athletes from around the world. In order to post you must be active! 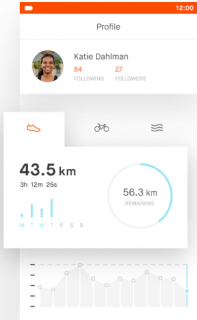 Strava works with your mobile phone to track your activities and share your efforts with friends. 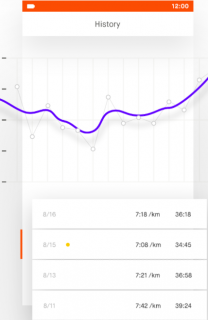 After completing your workout, almost every metric you can imagine awaits- from basics such as speed, pace and distance, to Strava exclusives, like your performance compared to past attempts. Most riders take their phone with them on their workouts, with Strava you simply hit start and have a record of your rides in once place. This makes it very easy for riders to scan back and see what they've done over the course of the last month or the length of their rides. 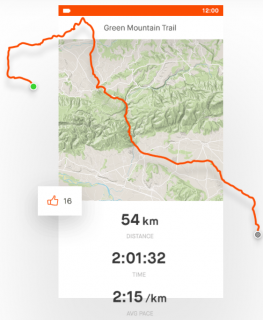 Strava has its very own social feed where your friends and followers can share their own races and workouts, give kudos to great performances and leave comments on each other's activities. Having the sense of peer pressure out there is a positive thing to most riders, it helps them keep on track with their fitness because they don't want people to "see" them being lazy. Knowing that people are watching your workouts every day can be the perfect motivation for people looking for a transformation in their fitness. Strava also has the option of turning on your "Beacon", enabling you to share your location in real time with your friend, partner, parent, coach, butler, therapist, your dog or anyone you'd want to have your back in an emergency. They don't need to be a Strava member or have the app, you can simply send them a link and away you go, peace of mind for both parties. This feature is only available with Strava Premium which costs £5.99/month and £24.99/year. 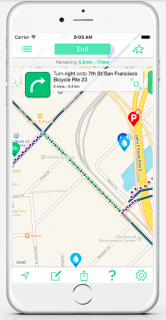 For those of you just looking for the perfect cycle route then this is the app for you! It tracks your speed and distance along with easy-to-see display, showing you when you go off course and how to get back on track. CycleMaps learns how fast you are cycling historically and estimates when you will arrive during your current trip. Get detailed information about any route. Elevation, surface, distance, speed, and much more! See one you like? Save it to your favourites for later and enjoy it offline. A great feature of the is app is its ability to show cycle routes that aren't on roads: perfect for those of you who prefer not to cycle on roads along-side cars. It's simple, when something is fun you are more likely to do it over and over. Endomondo aims to make an exercise plan specific to you. The app sets you targets each day to complete whilst giving real time audio feedback on how well you're doing. Initially you'll be setting personal bests and competing with yourself, but in the long run fitness is more fun when you let close friends or relatives become your motivators. ​Much like Strava, Endomondo allows you to share your activities with your friends and millions or other users across the globe. 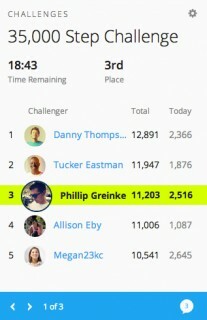 Beat A Friend, Follow A Route, and Beat Yourself workouts are features within the app that allow you to interact with your friends. These allow you to race against a friends' time, or race against one of your previous workouts. You can also follow a route that you or someone else created, which can be a lot of fun. This allows you to race against someone else, on the exact same route that they used. The app creates personal statistics and history after your targets are completed, that way you can keep track of how many calories you've burned, how many miles you complete and of course how quickly you're improving. A nice bonus with your workout history is the "Enter Workout" feature. This lets you manually add workouts that you forgot to track or those that aren't easily tracked. Simply go into your Workout History, click "Enter Workout." There you can select the workout you did, when you did it, for how long, and how far you went. Based on this, the app will then calculate your calories and averages for you. Pretty sweet. 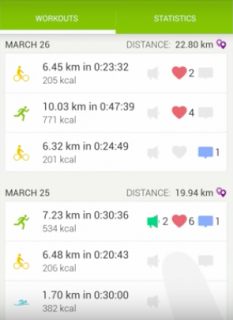 Endomondo is free to use but its premium version unlocks a range of features, the current rate for the Premium feature is £5 per month or £24 per year. With a Premium account, you can set up customised training plans, extra auto coach options, personalised goals, friend challenges, low power mode, and no ads. If you are looking to go premium there's no other app that provides such value for money. 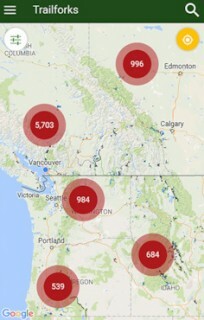 Trailforks is a mountain bike trail database and management system for riders and trail associations. 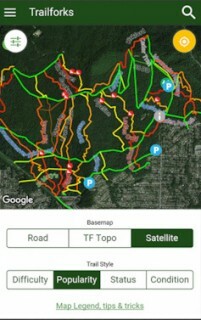 Users can contribute to the app and then local trail associations can approve and curate the data. 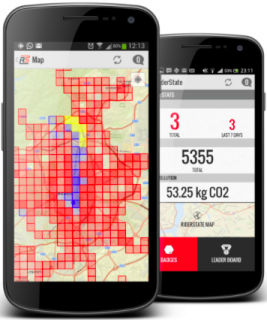 They ensure the best and latest routes for the users of the app. The app does have some banners and buttons encouraging you to donate to support a particular trail or region. Your donation will go directly to the local trail association, Trailforks takes no cut. Trailforks is where users help grow and maintain the app by submitting new trails, updating existing trails and submitting reports on trails. Users can also add photos and videos which are tagged to trails found on the app. How is it controlled? Users also help moderate the site by voting and can report any submissions they find irrelevant. If a trail is submitted with the wrong name and other users don't approve it then it won't appear on the app. As you track your daily steps and become more active, Garmin Connect helps you stay motivated and celebrates your achievements. To gain the most out of this app it is useful to have an Apple Watch or similar device. It helps you track your weight, sleep and calories, making it easier to find patterns in your health. Garmin Connect will display a map, temperature, lap splits, a variety of graphs and your notes for every activity. You can choose training plans across three difficulty levels and opt for plans based on heart rate if that's your thing. What you get is a schedule of sessions, created by an expert coach, based on a set duration of 12, 14 or 16 weeks, where the number of sessions you do per week can be anywhere between three and eight. Much like other cycling apps Garmin Connect has a social media platform attached to it called a 'Group'. For each Group you set up you get a nice landing page that can be public or private, open to all comers or by invitation only. From here you can see other members' recent activity, you can post bulletins and see a leaderboard ranking people against the group goal. You can also manage a calendar of events, load up routes and see the fastest times for the people in your group on local segments..
You can add any combination of Garmin Connect features to your dashboard for at-a-glance access. Examine the map and stats from your latest activity, view your calendar, track your goals or stay motivated by what your friends are doing – all in one place. 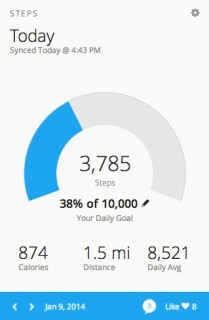 Garmin Connect is certainly one of the best apps to consider when contemplating how to track your fitness. Kinomap is an app that is able to interact with a variety of equipment: home trainers, exercise bikes, cross trainers, treadmills, rowers and countless others… the main benefit of this app is the ability to use cycling movies as visual inspiration for your home training sessions, adjusting the incline or resistance of your equipment according to the elevation of a particular ride. There are a lot of benefits to exercising at home – you don't have to travel to a gym, you don't have to force yourself outside in the rain and snow, and you can take a nice hot shower post workout. Kinomap's aim is to develop partnerships with race events, to record the track prior to the event and let the participants train on it. By filming the race in advance Kinomap creates an indoor challenge for app users to train and learn the race ahead of the event. 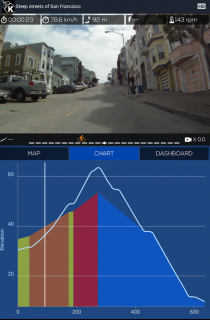 Kinomap motion videos technology displays the track and elevation profile on top of the video. Resistance or incline adjusts according to the type of ride, participants can anticipate the ups and downs and prepare a race tactic. Although the Kinomap Fitness app is free to download, you'll need to pay a subscription fee in order to make use of it. The cost of subscription is £7.99 per month or £49.99 for a full year. So, there's quite a saving if you sign up for a year, but it's probably worth signing up for a month first to make sure you like it. 2.During your activity, you will see the length of your ride, the Lands you ride for, and the points you're gaining from your route. 3.Also, you can see in real time your position on the map of the conquest. 4.Once you finish your exit, press the Stop button and the app will show you the summary of your activity. The activity will be live on the site and show other riders routes where only you have ridden, by seeing this more riders will be inclined to ride these routes where you have experience. Routes come with recommendations and information about the trail, providing riders with a better understanding of their journey.